Peggy O’Neal Peden grew up in Middle Tennessee and has lived in and around Nashville for most of her life. She has taught English at high school and college levels, owned a travel agency, been published in regional magazines, and written award-winning advertising copy. She is a member of the Nashville Artist Guild and lives in Nashville. 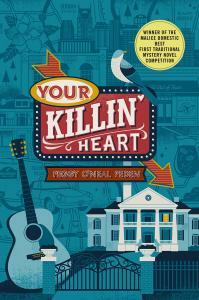 Your Killin’ Heart is her first novel.